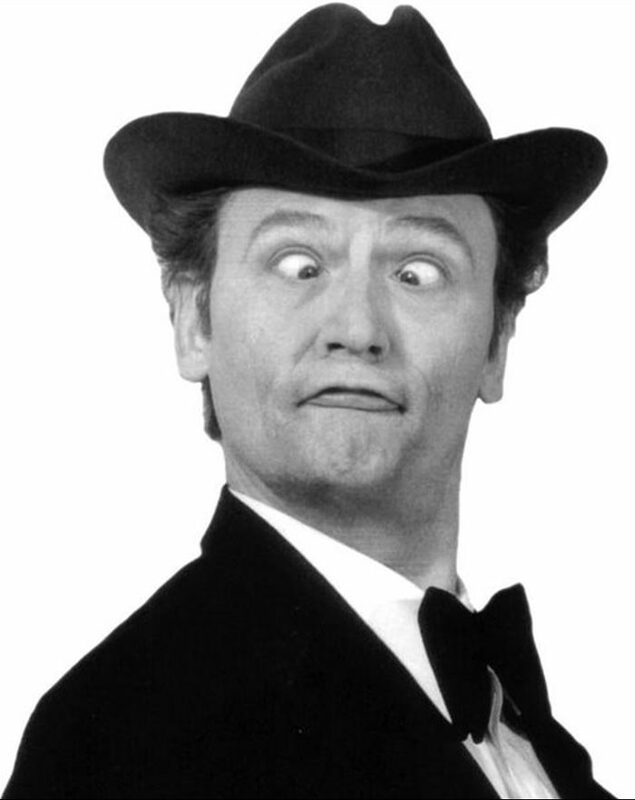 (update) In every generation, there are singularly outrageous comedians, and for the middle of the 20th century, Red Skelton was probably the "top banana" of all. 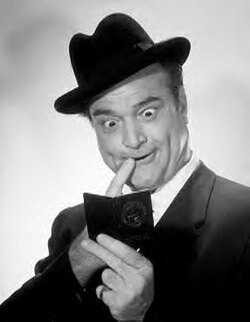 In every generation, there are singularly outrageous comedians, and for the middle of the 20th century, Red Skelton was probably the "top banana" of all. He remained true to the clown tradition of making 'em laugh, anyway possible and as often as possible. Although known for his physical comedy, he was a master character actor and mime, and had a joke book that was reputed to have 180 thousand jokes. Red said he worked his way up to radio by doing "everything but opera." He got on radio with Avalon Time and soon his Raleigh Program, began in '41, took him to the top. All through the WWII years he kept America laughing, except for a 1944 stint as a drafted private who made it his job to entertain the troops. 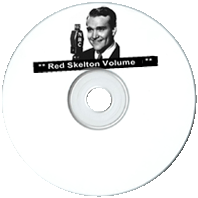 Skelton was at the top of the radio top five ratings for many years, right along with Jack Benny, Fibber McGee and Molly, and Bob Hope. A list of character Red created would be a yard long, but a couple of major ones are the mean little Junior, Willie Lump Lump and goofy Clem Kadiddlehopper. His rapid-fire jokes and gags, along with physical comedy and extreme characters at the drop of a hat were rarely equaled. In the late 1940s and early 1950s Skelton's show slowed its pace a little as Red developed his masterful storytelling skills in longer sketches of American life. Thankfully Red continued on TV. Throughout his career, he kept to his roots, remaining a true clown with a genuine love for all the oddball characters he did. His audience felt Red's comedy came from his heart, and they loved him for it. 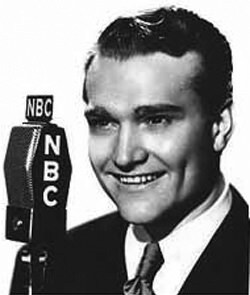 Comedian Red Skelton got his first taste of network radio in 1937 as he appeared on the Rudy Vallee Show on NBC.